Following up on 5 Essentials for Long-Term Hosteling, Craig Martin expands with some luxuries that always make it into his pack. These are all super-light items that are going to be used often, adding convenience to your hosteling experiences without overburdening your back. 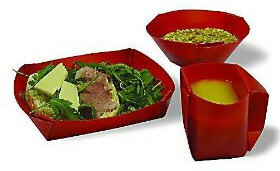 Want the convenience of your own plate, bowl and cup without the weight of an enamel set? From bus-stops to beaches, the Flatworld dinner set from Orikaso has kept me fed and watered on the road and in the less clean of hostel kitchens. This folding plastic set weighs next to nothing, and takes up almost no space in a backpack or suitcase. These chunky plastic sporks combine a spoon on one end with a serrated edge and a fork on the other. This isn’t silver service but, then again, who needs that on the road? I prefer light, bright, and easy-to-find in your backpack. Should a foodfight break out (may-god-forgive-us! ), this baby is your best friend. The plastic flex in the middle of the handle adds so much strength to this miniature catapult!. A good utility tool or pocket knife is worth its weight in gold. The secret to a good pick for hosteling is considering everything you’ll need to do with it, and getting a knife with all the features you require. Make sure you don’t buy a knife with everything; how often are you going to use that woodsaw? 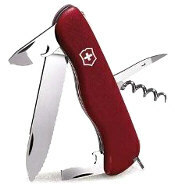 Since my main goals are preparing food and opening wine bottles, I wanted something with a long, lockable blade and a corkscrew – the Victorinox Picknicker is my perfect pocketknife. When you’re ready for a quiet evening in the hostel, there’s nothing better than a set of playing cards to kick off some conversations and competition. I never get involved when there’s money on the table, but I once met a card shark who supplemented his hostel stays with poker winnings. 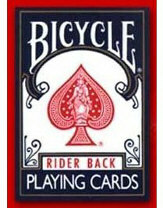 My favorite games are more raucous than poker – they allow any number of people to play. They’re a great way to get a good group together. I always carry a small magnetic chess set with me. It’s a bit more intensive than most card games, but there are a lot of chess buffs on the hosteling circuit who seem more than happy to play. Long term travelers almost always have electronics with them. However, crossing borders means changing power supplies. There’s nothing more frustrating than not being able to call your ride because you can’t charge your phone and you’re nowhere near a pay phone. 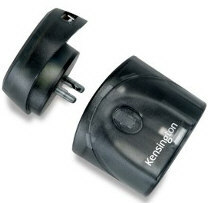 If you are changing country often, investing in a truly international power adapter is a good decision. You should be able to plug anything into it and plug it into any outlet. I use an international multiplug from Swiss Travel Products which also comes with a USB adapter perfect for iPods and many phones and cameras. Now you’ve got your essentials and luxuries ready, it’s time to get out there and start hosteling.